Administrative Law Judge Bob N. Varma, Office of Administrative Hearings (OAH), State of California, heard this expedited matter in Sacramento, California, on April 7 and 8, 2011. Bill Schell, Attorney at Law, appeared on behalf of Student. On April 8, 2011, William Sheslow, law clerk, assisted Mr. Schell in representing Student. Parent was present at the hearing. Student was also present at the hearing for a portion of the day on April 7, 2011. Julie Robbins, Attorney at Law, appeared on behalf of the California Montessori Project (Montessori). 1 Terri Burroughs, Program Specialist for Montessori, was also present at the hearing. On April 8, 2011, Shelley Carman, Director of Special Education for Montessori was present as the representative for Montessori. On March 14, 2011, Student filed a request for due process (complaint) which included both expedited and non-expedited issues for hearing. The due process hearing on the expedited issue was held within the mandated 20 school days. Upon conclusion of the hearing on April 8, 2011, the record was left open for the parties to submit closing briefs by April 18, 2011. The matter was submitted for decision on April 18, 2011. Student’s school is on spring intersession from April 18 through April 29, 2011. Accordingly, the decision on the expedited issue is due on May 6, 2011. Student requests that he be returned to his last educational placement prior to the February 11, 2011 incident. Student contends that neither the Fiskars scissors, nor the manner in which Student used them in an incident on February 11, 2011, constitutes a weapon under the applicable state and federal special education laws. Accordingly, Montessori’s removal of Student to an IAES for 45 school days violated Student’s rights under the Individuals with Disabilities Education Act of 2004 (IDEA). Student contends that he should be returned to his educational setting prior to the incident of February 11, 2011. Montessori contends that on February 11, 2011, during a serious behavior emergency, Student used a pair of scissors as a weapon. Montessori asserts that the scissors and the manner in which Student used them, had he completed his threatened action, could have caused serious bodily injury or death. Accordingly, Montessori contends that it did not violate Student’s educational rights under the IDEA when it removed him to an IAES for 45 school days. When the scissors are fully open, the width between the tip of the blades is two and three-quarter inches. 2The ALJ has modified the issue for the purpose of clarity. 3Section 300.530(g)(1) of title 34 of the Code of Federal Regulations allows for a pupil to be removed to an alternative education setting for not more than 45 school days, without regard to whether the behavior is a manifestation of the child’s disability, if the pupil carries a weapon to or possesses at school, on school premises, or to or at a school function under the jurisdiction of the education agency. 2. Student is an eight-year-old pupil who resides with Parent and is eligible for special education under the category of emotionally disturbed. Montessori is a charter school that operates the school attended by Student prior to his suspension and removal on February 11, 2011. 3. For the 2010-2011 school year (SY), prior to his removal, Student attended the Orangevale, California, site of Montessori. He was placed in a combined second and third grade general education classroom, with one-to-one aide support. 4. It was unclear from the evidence if Student had a one-to-one aide throughout his placement at Montessori from his entry at the start of the 2010-2011 SY. Student’s aide, Julie Humphrey-Knutson, started as Student’s one-to-one aide on January 28, 2011.4 During her time as Student’s one-to-one aide, she provided support in behavior modification through consultation by a Behavior Intervention Case Manager (BICM) for Montessori. The specifics of the behavior support provided by the BICM to Student and its frequency and duration, were not established by the evidence. 5. Prior to his removal following the February 11, 2011 incident, Student’s teacher at Montessori was Michelle Holden.5 Based upon Ms. Holden’s uncontested testimony, the evidence established that Student displayed inappropriate and disruptive behavior throughout the 2010-2011 SY. The frequency of these behaviors varied from week-to-week. However, on average, Student had at least one behavioral incident per week. These incidents included verbal outbursts and physically aggressive behavior towards adults. Because neither party offered into evidence, Student’s individualized education programs (IEPs) prior to the February 11, 2011 incident, and testimony was primarily limited to the incident itself, the evidence did not establish what behavioral supports were provided to Student during the 2010-2011 SY. The incident of February 11, 2011, which resulted in Montessori’s removal of Student, is the subject of this expedited hearing. 4Ms. Humphrey-Knutson has a bachelor of arts in Liberal Studies. She is currently enrolled in a dual credentialing program for her mild-moderate special education and multiple subject teaching credentials. She is also in the process of obtaining a master of arts in Special Education from California State University, at Sacramento. 5Ms. Holden has a bachelor of arts in Speech Communication. She holds elementary education and Montessori teaching credentials. Ms. Holden has been a regular education teacher since 1995. 6. School personnel may remove a pupil with a disability who violates a code of student conduct from his or her current placement to an appropriate IAES, another setting, or suspension, for not more than 10 consecutive school days. However, school personnel may remove a pupil with a disability to an IAES for not more than 45 school days without regard to whether the behavior is determined to be a manifestation of the child’s disability, if the child carries a weapon to or possesses a weapon at school, on school premises, or to or at a school function under the jurisdiction of the state or local education agency. 7. On February 11, 2011, Student’s class was creating heart-shaped containers for Valentine’s Day, in an arts and crafts project. Each pupil had available a pair of scissors to complete the project. Student was independently working in his preferred area within the class. Four other pupils were working on their projects at a round table, approximately four feet from Student. 8. Ms. Humphrey-Knutson was approximately eight to 10 feet away, assisting another pupil. Student got up from his desk and went to the table with the four other pupils. At first, Ms. Humphrey-Knutson observed what appeared to be appropriate interaction between the children. However, she noticed that Student’s fists had clenched. Based upon her knowledge of Student, she foresaw the potential for a behavioral incident and began to approach. 9. The parties did not offer into evidence any written behavior plan for Student. However, the evidence established that when Student became frustrated, he could take a break from the classroom activity and go outside or to the Resource Specialist Program (RSP) room with his aide. This was a strategy designed to prevent Student’s behaviors from escalating, or to de-escalate Student once he had a behavior outburst. On February 11, 2011, prior to the scissors incident, Student had taken such a break in the RSP room. However, at the conclusion of the break, Student had refused to return to work. Ms. Humphrey-Knutson testified that Student had engaged in destructive behaviors in the RSP room and had hidden from her sight for approximately five minutes. The RSP room has a back door, through which Student had escaped. Thus, by the time of the incident at issue in this case, Student had already had one behavioral outburst. 10. With respect to the incident which is the subject of this hearing, as Ms. Humphrey-Knutson approached Student, she noticed that his fists remained clenched and his breathing had intensified. Ms. Humphrey-Knutson kneeled on the floor in an effort to communicate with Student. She attempted to get Student to take a break and leave the classroom, consistent with his behavior plan. However, Student did not respond and remained focused on the other pupil, Z. Z had his head down and did not engage Student. 11. Though Student did not respond to Ms. Humphrey-Knutson, she felt that he was de-escalating and she got up from the floor and began supervising the children at the table. As she walked away, Student picked up Z’s art project and Fiskars scissors. He began pointing the scissors at Z with his right hand, while his left hand was on the back of Z’s chair. Student was repeatedly saying that Z had “lied on” him. 12. The evidence established that Student did not have a prior history of using scissors in a threatening manner. Ms. Humphrey-Knutson approached Student from behind and asked him to put the scissors down, while requesting help from Ms. Holden. Ms. Humphrey-Knutson’s view was clear and unobstructed. As Ms. Holden approached, Student began to back away. Ms. Humphrey-Knutson admitted that she could not accurately state the length of time the incident with the scissors took. However, she estimated that 30 seconds could have passed between the time that she saw Student’s hand on the back of Z’s chair and when Student backed away from Z. 13. Ms. Humphrey-Knutson demonstrated how Student held the scissors while they were pointed at Z. Student had the scissors completely open and grasped them from the middle, on top of the screw that holds the blades together. He held them so that the blades were horizontal. They were pinched between Student’s thumb and the top of his index finger, with the remainder of his fingers curled up below his index finger. In such a grasp, the scissors cannot be closed. 14. Ms. Holden testified that Student grasped the scissors with his fingers in the loops of the handle. She also stated that the scissors were in a horizontal position, pointed towards the other pupil. However, Ms. Holden initially testified that the incident with the scissors had occurred prior to her approaching the table. Ms. Holden then testified that she first came to the table, left to get a piece of paper because Student had taken the other child’s paper, and upon her return noticed that Student had scissors in his hand. This was inconsistent with Ms. Humphrey-Knutson’s testimony that Student took the art project and the scissors simultaneously. Ms. Holden’s testimony that she was initially drawn to the table due to a dispute between students over paper was inconsistent with Ms. HumphreyKnutson’s testimony that Ms. Holden came over because she requested her help to deal with Student’s escalating behavior. Ms. Humphrey-Knutson was at the table when Student had the scissors, while Ms. Holden was approximately 12 feet away. 15. Ms. Holden admitted that she did not remember the chain of events clearly. Due to her lack of memory and inconsistencies in her recollection, Ms. Holden’s description of the scissor incident was given less weight. Because Ms. Humphrey-Knutson had a clear and unobstructed view, was at the table, witnessed the entire incident with the scissors and was persuasive, her testimony describing the portion of the incident wherein Student used the scissors was given more weight. 16. After requesting help from Ms. Holden, Ms. Humphrey-Knutson radioed the school principal on the walkie-talkie for additional help. By this time, Student had put the scissors down and was chasing the other Students. Student did not pick up the scissors again. Ms. Humphrey-Knutson collected all of the scissors from the table. 17. Ms. Holden shielded Z and another pupil from Student, as those two pupils had become Student’s focus. Student pushed Ms. Holden repeatedly, in an attempt to get to the other pupils. At some point, Ms. Humphrey-Knutson informed Student that she would be restraining him and then placed him in a basket hold from behind. She is not trained in the use of physical restraints on students. 18. The school principal, Dorothy Hilts, arrived with her administrative assistant, Ann Walsh. Following Ms. Hilts’ directions, Mss. Walsh and Holden lined up the other students and took them out of the classroom. The other students had not seen a similar level of behavioral escalation in Student previously. 19. Mss. Hilts and Humphrey-Knutson remained in the classroom with Student. Ms. Hilts is trained in Crisis Prevention Intervention (CPI), which authorizes her to use physical restraints with students to contain a child in a crisis situation. She tried to restrain Student, holding him momentarily once, but failed on three other attempts. On one attempt, Ms. Hilts fell. Ms. Humphrey-Knutson contacted the police in the meantime. While Student was running around the classroom, avoiding Ms. Hilts, he was successful in wrestling the phone away from Ms. Humphrey-Knutson. Student informed the police that everything was okay and they did not need to come to the school. The police did not come; however, it was unclear if this was at the direction of Student or Montessori staff. 20. Student eventually escaped the classroom. He stopped outside the classroom at a planter for a few minutes. Then Student noticed Ms. Holden and his classmates on the playground. He targeted Z and the other pupil and moved in their direction. Ms. Holden again blocked Student’s access to Z and the other pupil. Mss. Hilts and Humphrey-Knutson reached the playground. While Ms. Humphrey-Knutson attempted to contain and de-escalate Student, Ms. Holden took her students back into the classroom and went into lockdown mode. In this state, the doors were locked, the shades were shuttered and the students were placed in the middle of the classroom. At some point, Student could be heard outside the classroom trying to get inside and banging on the door and windows. 21. Eventually, the school staff was able to contain Student and he calmed down. The entire episode from the initial dispute at the table to the end took over one hour. Parent was contacted, the incident was discussed with Parent and Student was suspended. 23. A weapon for purposes of disciplinary measures resulting in a 45 day removal to an IAES is defined as a “dangerous weapon.” A dangerous weapon is a weapon, device, instrument, material or substance, animate or inanimate, that is used for, or is readily capable of, causing death or serious bodily injury, except that such term does not include a pocket knife with a blade of less than two and one-half inches in length. 24. The term “serious bodily injury” is defined as: bodily injury that involves a substantial risk of death; extreme physical pain; protracted and obvious disfigurement; or protracted loss or impairment of the function of a bodily member, organ, or mental faculty. It is not simply a cut, abrasion, bruise, burn, or disfigurement; physical pain, illness, or impairment of the function of a bodily member, organ, or mental faculty. Whether something can be capable of causing a serious bodily injury is a question of fact that is determined based upon the totality of the circumstances. 25. The issue of whether Student’s use of the scissors constituted a dangerous weapon is analyzed by looking at the portion of the entire incident during which Student used the scissors. Neither party contended that Student’s conduct, after he put the scissors down, constituted as a use of a weapon. However, Montessori contends that the opinions of Mss. Humphrey-Knutson, Holden, and Hilts should be considered in determining whether the scissors were capable of causing serious bodily injury or death.7 Here, the evidence established that the children were upset by the incident and may have been frightened. However, the evidence did not establish to what extent this was due to the scissors incident rather than the entirety of events of the afternoon of February 11, 2011. 6The issues of whether District violated Student’s procedural or substantive rights under the IDEA in the time between February 14 and March 4, 2011, with respect to holding a manifestation determination IEP or providing an IAES in a timely manner, are not part of this expedited hearing and are not addressed in this decision. 7In its closing brief, for the first time, Montessori asserts that Z having his head down is an indicator that he was frightened. Montessori further asserts that Z suffered emotional trauma due to the incident and following the incident has made reports of his fear of being killed by Student. At hearing, no evidence was presented regarding Z’s state of mind during the scissors incident and to the extent that Z’s behavior was described, his state of mind was not testified to by an expert or a counselor or therapist who provided any service to Z. No evidence was presented regarding Z suffering trauma or making statements following the incident. Ms. Holden testified that Montessori received eight written complaints and several verbal complaints, however, no details about the complaints were provided at hearing. Accordingly, Montessori’s newly raised evidence in its closing brief was not considered. 26. With respect to the scissors themselves, Student contends that they are not a weapon. He asserts that the blades are dull and are specifically designed to prevent any cuts or damage to skin. The blades can only cut paper or cardboard through the shearing action created when they work against one another. Furthermore, Student asserts that the tips are rounded and incapable of being used to stab another individual. 27. Montessori contends that blades are sharp and either blade can cause serious bodily injury or death. It asserts that the tips of the blades end in a 90-degree angle, which is sharp. Finally, Montessori contends that the scissors can puncture skin if used with enough force. 28. The scissors are in evidence. Based upon the stipulations set out in Factual Finding 1 and the scissors themselves, it is clear that the Fiskars scissors are small children’s scissors. The exposed blades of the scissors are shorter in length than two and one-half inches. The advertisement for Fiskars children’s scissors, submitted by Student, is supportive of Student’s position that the scissors were designed with child safety in mind. The blades are dull and are not capable of cutting unless used in a motion that would open and close the blade, thus using the shearing function of the blades. The tips are blunt and rounded, and because they are rounded, they do not form a 90-degree angle. The totality of the evidence established that the scissors do not constitute a weapon capable of causing death or serious bodily injury. 29. Finally, Montessori’s contentions ignore the obvious fact that if the scissors, in and of themselves, constituted a weapon, then Montessori would be responsible for arming every child in Student’s class with a weapon, making every child subject to suspension or expulsion. Therefore, whether these particular scissors constituted a weapon capable of causing serious bodily injury or death is determined upon how Student used the scissors. 30. Based upon Ms. Humphrey-Knutson’s testimony, the evidence established that Student held the open scissors in the middle of the scissors, between his thumb and index finger, with the remaining fingers curled below the index finger. Student held the scissors horizontally, three-to-four inches from the neck and chest area of Z. There was no evidence that Student made any motions towards Z, although he may have moved them up and down. In such a position, Student could not close the scissors; therefore he could not have used their shearing function to cut Z, even if the scissors were actually sharp enough to cut skin. Because Student never motioned the scissors towards Z, he could not have stabbed Z. Even if Student could have stabbed Z, the dullness of the blades and the blunt tips could not have punctured Z’s chest or neck sufficiently enough to cause death or inflict serious bodily injury. Therefore, the evidence did not establish that the manner in which Student used the children’s Fiskars scissors, turned what were otherwise child-proof scissors into a weapon capable of causing death or serious bodily injury, as defined in Factual Finding 24. 1. In an administrative proceeding, the burden of proof is ordinarily on the party requesting the hearing. (Schaffer v. Weast (2005) 546 U.S. 49, 56-62 [126 S.Ct. 528, 163 L.Ed.2d 387].) Student requested the hearing and, therefore, Student has the burden of proof. Did the February 11, 2011, behavioral incident constituted a violation of 34 C.F.R. § 300.530(g)(1) (2006)? 8All subsequent references to the Code of Federal Regulations are to the 2006 revisions, unless otherwise stated. 6. The term “serious bodily injury” for these purposes is the same as that found in title 18 United States Code section 1365(h)(3). (20 U.S.C. § 1415(k)(7)(D); 34 C.F.R. § 300.530(i)(3).) The term is defined as: bodily injury that involves a substantial risk of death; extreme physical pain; protracted and obvious disfigurement; or protracted loss or impairment of the function of a bodily member, organ, or mental faculty. (18 U.S.C. § 1365(h)(3). “Serious bodily injury” is not simply a cut, abrasion, bruise, burn, or disfigurement; physical pain, illness, or impairment of the function of a bodily member, organ, or mental faculty. (18 U.S.C. § 1365 (h)(4).) Whether there has been a serious bodily injury is a question of fact that is determined based upon the totality of the circumstances of the injury. (United States v. Johnson (9th Cir. 1980) 637 F.2d 1224, 1246). 7. The parent of a child with a disability who disagrees with any decision regarding placement in the IAES, or the manifestation determination, may appeal the decision by requesting an expedited due process hearing. (20 U.S.C. § 1415(k)(3); 34 C.F.R. § 300.532 (a)-(c).) In this case, Student contends that Montessori improperly removed Student to an IAES because his use of the Fiskars scissors during the February 11, 2011 incident did not constitute the use of a weapon capable of causing death or serious bodily injury. 8. Based upon Factual Findings 11 through 14 and 30, the evidence established that Student did not strike, cut or stab Z or any other pupil. Student did not inflict any physical injury with the Fiskars scissors. Accordingly, based upon Legal Conclusions 5 and 6, Student did not use the scissors to cause death or serious bodily injury. 9. As discussed in Factual Findings 1, 28 and 29, the Fiskars children’s scissors at issue were handed out to all of the children in Student’s class for an art project by Montessori. Their purpose by design is to be a safe cutting instrument and not to be a weapon. 10. Montessori contends that the manner in which Student used the scissors made them a dangerous weapon capable of causing death or serious bodily injury. There is a dearth of legal authority determining whether a pair of scissors, used in a special education disciplinary action, constitutes a dangerous weapon. The parties provided one citation. Montessori relies upon Anchorage School District, (2005), 45 IDELR 23, (Anchorage) for its contention that scissors can be capable of causing death or serious bodily injury. However, Anchorage is distinguishable from the case at hand because the student therein used “sharp adult-sized scissors,” while lunging at the teacher. (Id.) In Washington Township Board of Education, (2000), 106 LRP 2569, (Washington) a student was found to be in possession of a weapon because the scissors he used to cut his aide’s hair were ones he had taken from the bag belonging to a school staff. While the Washington decision provides no further detail as to the dimensions of the scissors, it is clear that the scissors in question were not ones provided by the school itself. As discussed in Factual Findings 1and 28 and Legal Conclusions 5 and 9, the scissors in this case are inherently not designed to cause death or serious bodily injury. These cases show that in determining whether scissors could be a weapon capable of causing death or serious bodily injury, the factors to be considered are the type and size of the scissors, and the manner in which they were used. This is a case-by-case analysis. 11. Based upon Factual Findings 13, 14 and 30, due the manner in which Student held the scissors, he could not have closed them to cut Z’s skin. Therefore, the scissors shearing function could not have been utilized to cause death or serious bodily injury. Based upon Factual Findings 1and 28, the evidence established that the blades of the Fiskars scissors used by Student were dull and not capable of causing death or serious bodily injury. Finally, based upon Factual Findings 1 and 28, the tip of the scissors were rounded and blunt, and were not capable of causing death or serious bodily injury. Even if Student had made contact with Z’s body using the Fiskars scissors, the scissors were only capable of causing cuts or some physical pain. Based on the manner in which Student used the Fiskars scissors, they were not capable of causing death or serious bodily injury, as defined in Legal Conclusion 5. Accordingly, based upon Legal Conclusions 4 through 6, the manner in which Student used the Fiskars scissors in this case did not turn them into a weapon. 12. As discussed in Legal Conclusions 8 through 11, Student did not use a weapon capable of causing death or serious bodily injury, or attempt to cause death or serious bodily injury. Therefore, Montessori was not entitled to unilaterally discipline Student by removing him to an IAES for 45 school days. 10The parties did not raise the issue of whether Student was provided a FAPE in his IAES placement as part of the expedited portion of this matter. Therefore, the issue has not been addressed in this decision. Montessori’s Orangevale campus is set to recommence session on May 2, 2011, following Spring intersession. 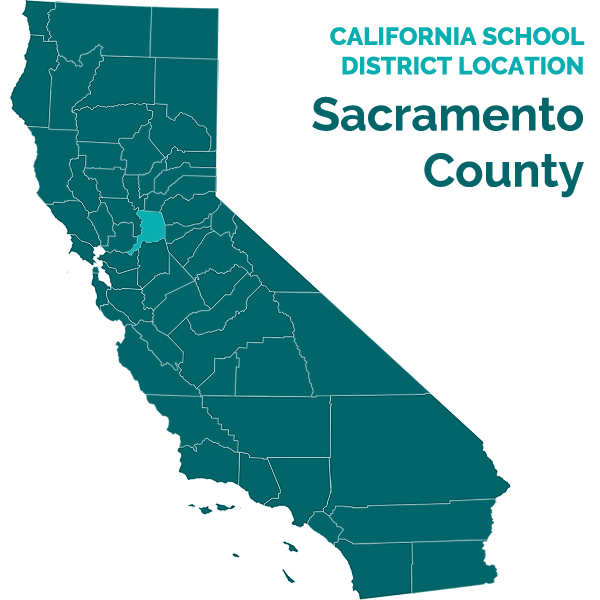 Montessori is ordered to return Student to his last agreed upon and implemented educational placement prior to February 11, 2011, at the Orangevale campus, effective May 2, 2011, and convene an IEP meeting within 10 school days to comply with the requirement of Section 300.530(f) of title 34 of the Code of Federal Regulations. Education Code section 56507, subdivision (d), requires that the hearing decision indicate the extent to which each party has prevailed on each issue heard and decided. Student prevailed on the single issue heard and decided.